Since I bought it in October, I purchased the filo with 2016 calendar inserts, and made my own for the remaining weeks of 2015. I just used a ruler and pen, and regular copy paper. This might sound like hell to some, but it was quite a relaxing project for me. I purchased a 6 hole punch on Amazon that allows for perfectly aligned inserts. 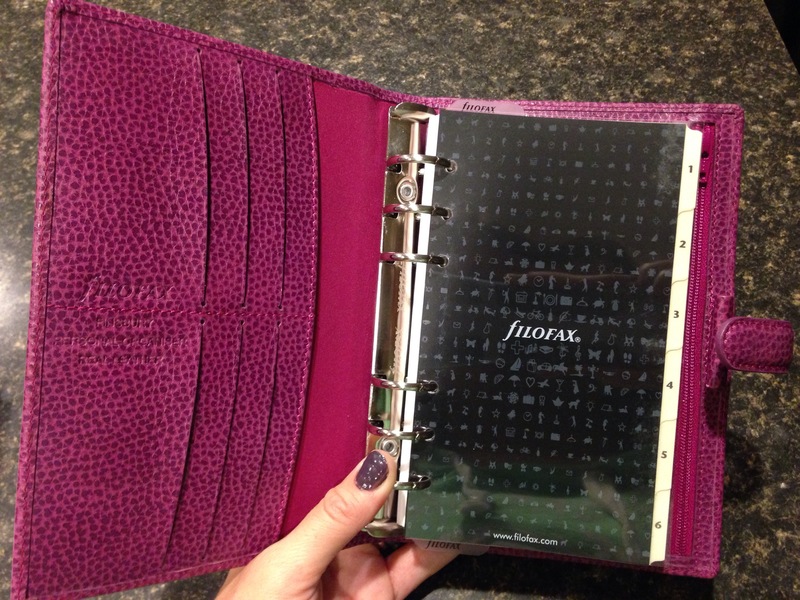 Since there are plenty of free or cheap Filofax printables online, the punch will be really handy. I made my own labeled dividers, but I plan to redo them soon. Right now the categories are AGENDA, INSPIRATION, PROJECTS, LISTS, CONTACTS, and REFERENCE. Those are all fairly straightforward except maybe “INSPIRATION,” which is where I thought I’d collect bits of random ideas, journaling or blogging topics/notes, quotes, etc. So far I’ve not actually used this section so I might pare down or break up another section into two. Inside I’ve made use of project life cards, stickers, washi tape, post its and other miscellaneous things to embellish and organize it. I’ve only had it for a few weeks, but I have gotten into the habit of using it for everything already. Planning projects, keeping track of our budget, making my holiday lists and plans, and keeping a weekly agenda / to do list has me feeling less stressed and more in control. It’s all in one place, it’s compact, and I love sitting and spending a free moment planning and making it pretty. It’s perfect when I am killing time in the car with a napping toddler. 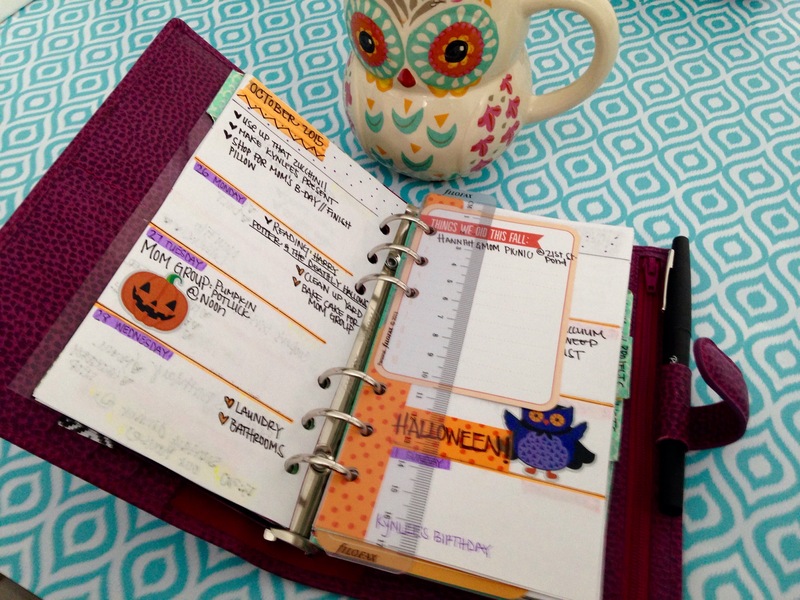 I feel like the most organized woman in the world because my life is all in one place! Obviously I’m really happy with the Finsbury and the personal size Filofax, but there are a few downsides. The smaller size is nice and compact for my purse, but my natural handwriting is larger than the list paper makes space for, which is an adjustment. The size is somewhat limiting, too, because you can’t just fold a piece of paper in half, or even in quarters, to stuff inside. (It would just barely hold a quartered paper, but it would overlap the tabbed dividers so it doesn’t really “fit.” The A5 is, I believe, equivalent to a half sheet of standard copy paper, which may be more convenient in some ways, though obviously not as portable. Also, it doesn’t lay completely flat, but maybe it will after time. The leather feels like great quality and it so pretty, but it’s quite inflexible. I read that some of the other models have softer leather and lay completely flat out of the box. It wasn’t a deal breaker to me because those models were also out of my price reach. 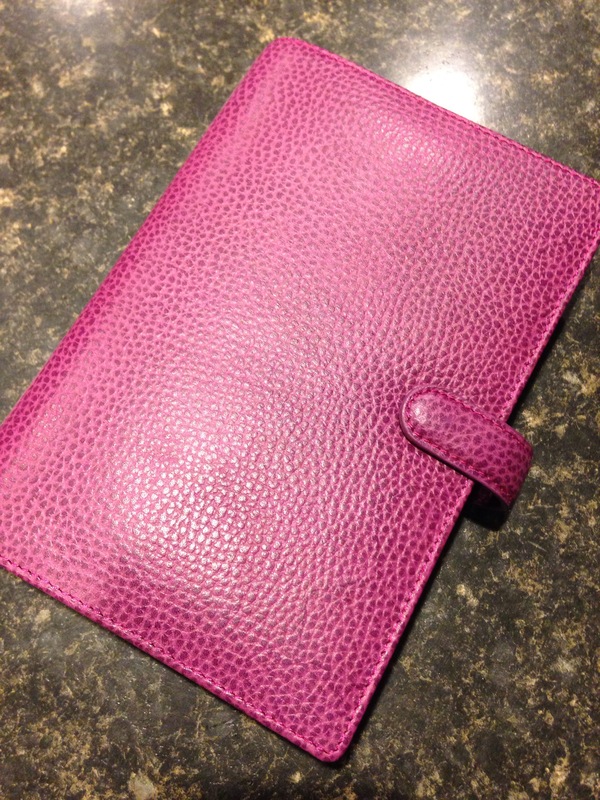 Come 2016 I’ll be well-accustomed to my organizer and will post more on how I use and modify my Filo. It’s been so nice to feel like I have the holidays well-planned out so early in the season, so I’m glad I sprung for this early. 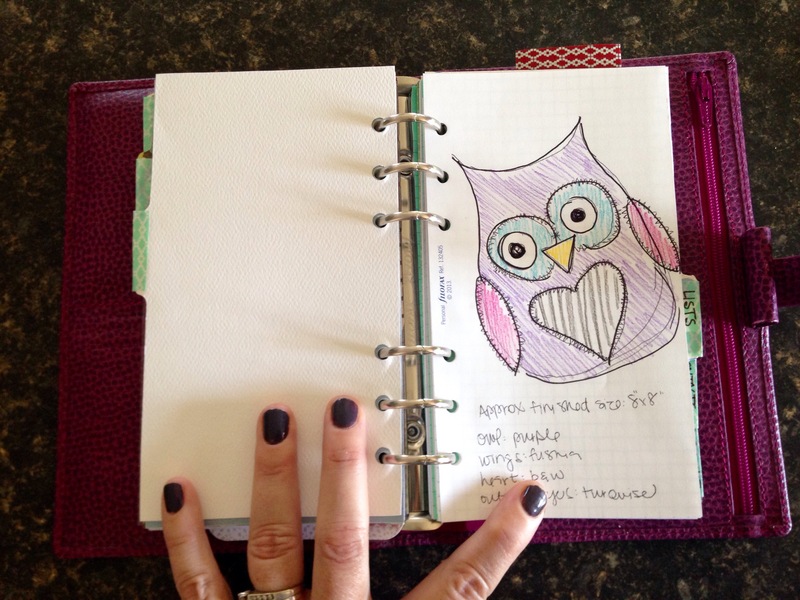 More planner nerdiness to come. 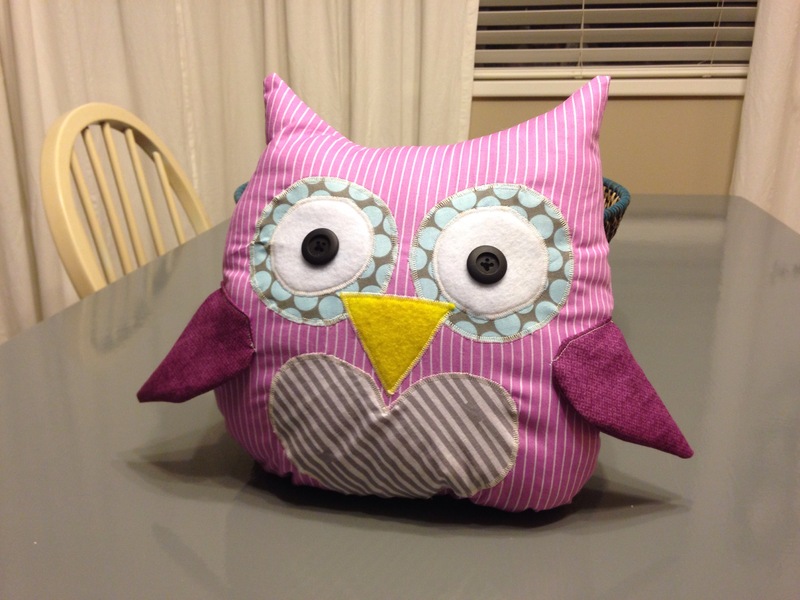 I love the owl that you made your niece, awesome work!! 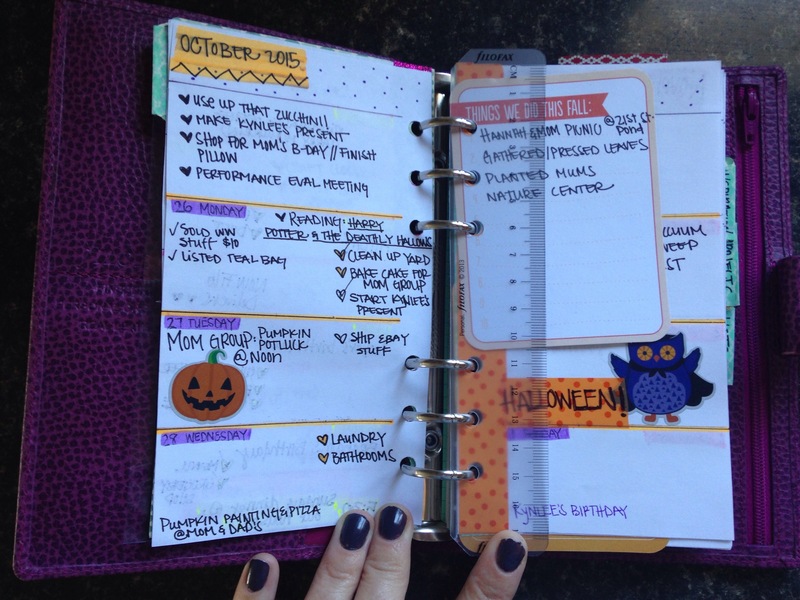 I also love your planner, I have to write everything down also so that I remember and love how you separated it. Awesome filofax 🙂 I have a smaller one (“Identity”? ), and often wonder about getting a bigger one. Maybe one day. Next Next post: from my family to yours..